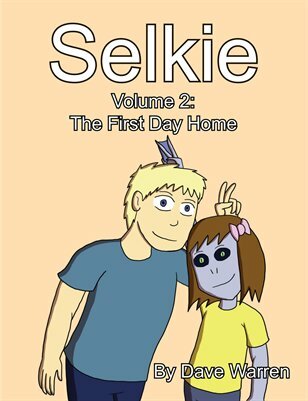 Thought about having Te Fahn call her Sel Kie because that's the naming style she'd be used to, but didn't wanna work in an explanation for it and it isn't arc-relevant. this made my, admittedly not HORRIBLE, but not great, day. COMMAS! ahem. I dunno, Sel Kie would likely go over fine for long-time readers. It gives a slight difference in cadence that would be read by old and new readers alike, and thus establishes a slight accent for Te Fahn. Personally, I’m all in favor of that nuance. Not to mention Sai Fen ALSO thought Nei Li “Selkie” Smith went by Sel Kie when Pohl first told her Selkie’s name. I came her just to say this. I totally think long-term readers would get it. As apex predators, I wouldn’t be surprised if a few sarnothi have experienced the joys of delicious human hands. We also know that Sarnothi names follow Vulcan rules– males have single-syllable names while females have multisyllabic (and/or multiword) names. Except that Sarek, Sorak, Surak, and Suko are two syllables. I feel like these squabbles are important, because it shows that every Saronthi is different and not just one united alien race like we see in (other) sci-fi tales. This should help with getting used to Saronthi as individual people. Lol, I think Selkie has met her match. Dips on naming thier first-born-er-hatched! Lol, I think Selkie has met her match. Dibs on naming their first-born-er-hatched! Ever play the drinking game where you take a shot every time Nynaeve tugs her braid? There has yet to be a survivor. When Twilight was the fresh craze, everyone started to give my kid Twilight stuff. He brought one of the DVDs to a party my friend was throwing and invented a drinking game for the grownups. Kid was in middle school, man. Of course, his game, and his sardonic humor, were a huge hit. Every time I see Te Fahn I think of Nynaeve. Oh so it’s just like the Steven King drinking game then. Good thing there are lots of spare livers hanging around my college campus then. Mwahahahaha!! I’m glad Te Fahn and Selkie get along so well. Selkie needs more positive interactions with kids her own age. Being best frenemies with Amanda is fun and all and their relationship is developing great, but Selkie having screentime with friends who aren’t mean to her other than Georgie and Sandy is really good to see. Come to think of it, we haven’t seen Amanda in a while. I wonder how she and Tehk (you can see that he is male because of his “one-word-name”) will get along. Will she defend Selkie or join the teasing or maybe both? And if Tehk really is an orphan, the three of them could even bond over that. well, Vault-Tec DID do some pretty weird “experiments”… maybe you aren’t too far off the mark? I can never find my Notebook of Stolen ideas when I need it.